I don't remember offhand if 935 has a starting date, but no matter. Based on new evidence from Moon, and an important tidbit from Kino that I just realized, I believe that Group 935 was not originally a Nazi, or even German, organization. Of course the Der Reise radios might have made this entire theory obsolete, since Maxis clearly states that each of the participants must leave their governments behind for the project, but bear with me for the rest of it. 935 was created to study Element 115. I believe it was a multinational effort from all of the powers after WWI to study the newly discovered element and its uses only for peaceful means. Dr. Maxis and Dr. Richtofen were at the head, of course. Something odd taken from Kino was that Maxis's name is spelled "Ludvig". In almost all cases this name would indeed be pronounced "Ludvig" in German, but spelled "Ludwig" because W's are pronounced as V's. However, in Scandinavia the trend is the opposite; Ludvig is the norm and Ludwig is almost unheard of. Making this clear distinction with the Kino door I believe was an open clue that the leader of the project was, in fact, not a German at all, nor especially interested (at first) in furthering the German cause. I believe these factors are what caused 935 to headquarter in Germany to begin with. It was highly industrialized, central in Europe (best reach for scientific minds across the continent), and theoretically without the meddling military powers which could theoretically pollute their research, which remember had the original goal of furthering the Human Condition and absolutely nothing to do with weapons research. That said, I have no idea where they would have secured their initial funding. Perhaps through the League of Nations? My theory is they were financially supported by the Gorki-Korolev Medical (GKM) Company. This is as far back as I can pinpoint any financial backings, at least. And if you look at the info provided in BO campaign, you can see this company is really good at erasing it's tracks. GKM is a company stationed in Prague. It's a company registered under PAVEL GORKI. He was involved in the Massacre at Der Riese between US and Russian forces. His cousin is Lev Kravchenko. Kravchenko works for Gorki. As a prove his loyalty, Gorki had Kravchenko murder his own sister. He had Dragovich intercept Steiner and his men, after WW2. And as far as my research can find, beyond Gorki, Steiner and his team were the only ones who made it out of Der Riese alive. Dragovich then has Steiner turn over his men (who were then executed in front of him), and recruited Steiner to work under Dragovich for his Nova6 project. All this info is supported in the CIA Intel docs. If you read between the lines, you can see Pavel Gorki (GKM) is the puppet master here. He cleaned up his tracks at Der Riese by having both invading forces slaughter each other, which further helped create hostilities between the US and Russia immediately following WW2. Then he makes sure that the only other individual who makes it out alive is the scientist Steiner, and forces Steiner to work indirectly under him. And once Steiner had fully developed Nova6 weapons, the numbers were broadcasted for Mason to kill Steiner before the CIA could get to him for questioning. Once again the tracks are cleaned up. :O MixMasterNut brains to you, holy baby Jesus I never knew anything about that. That sounds seriously awesome with the whole Gk theory you got there. Like most real life companies people call Nazi, they were a company pre WW2 who were sponsored by the nazi's in return for development for them, why do you think so many german scientists were 'nazis'? Even car companies were sponsored by the nazis. You're calling me out without even checking the source material I referenced. Well it's not really specific when all you say is, "The CIA Intel Docs" considering there is like 17 of them. But now that you provided the proof I was looking for, we can move on. 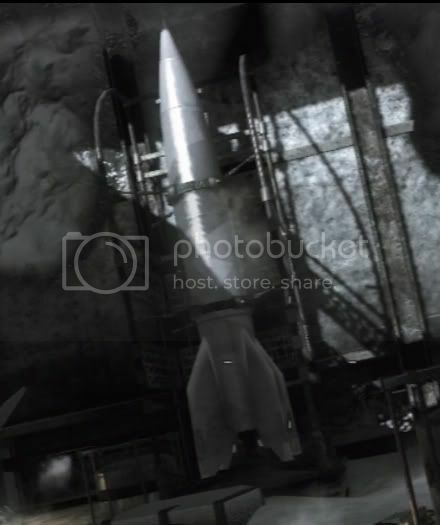 In the campaign, it states that they were leaving Der Riese to deliver NOVA6 to Hans Kammler to put into V-2 Rockets. So I am going to slightly alter your story and say that he arrived after the Massacre and found out about Steiner's gas, considering that Der Riese was the original NOVA6 compound according to a separate CIA Document. Thus sending in Reznov, Dragovich, and Kravchenko. Sound plausible to you? You could have asked me which Intels specifically. 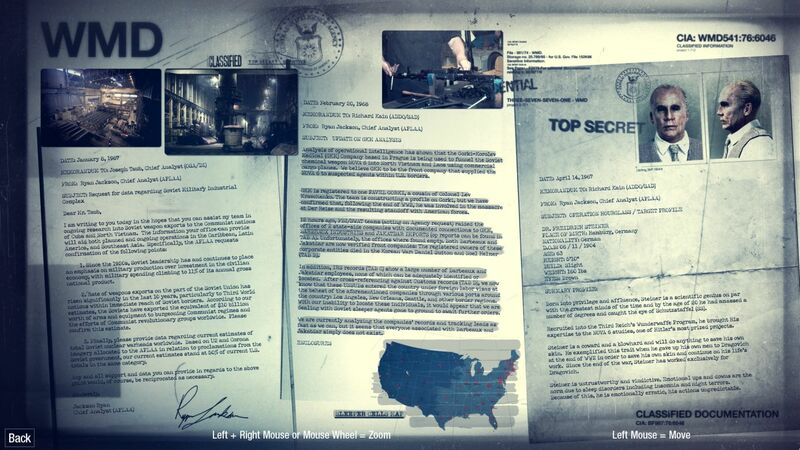 The CIA doc specifically says he was "involved in" the Massacre at Der Riese. So I don't think he just showed up afterwards like a vulture to pick up the piece. Coincidentially, I was playing the Project Nova campaign level last night, looking for eastereggs and additional research on Steiner. I'll try to post it up later tonight, but I noticed there is an awesome looking German Nova6 logo on that map. Which adds to confirmation that Nova6 originated in Der Riese. The standoff in the Massacre of Der Riese was between Americans and Germans, and Gorki played for GER. Somewhere in the quotes of the mission or something, doesn't Dragovich say that he found out about Steiner from GER interrogation? I just don't think Steiner was there, I think he left early. The CIA Intel also clearly states that, while Gorki was off doing his thing with Russia, a low-level scientist escaped to the United States. Project Nova, list of Wunderwaffes. He died, however, before he could be of any use to anyone. I gotta read through all the intel again right along with all the radio transcripts, and probably pics of bulletin boards too. I still think that most of what I put up in this thread holds water, the radios are pretty clear throughout that Richtofen was originally the one with the weaker stomach for weapons development, and the zombies are Maxis's army. After reviewing the intel, you are right, the standoff was between US and German forces. Steiner ducked out at some point, and was intercepted by Dragovich. Doesn't matter when. All that matters is Steiner made it out alive. Gorki Pavel was involved in the massacre. I assume by "involved", it means he "helped staged" it. I believe GKM controlled/funded both the Nazi Regime (who in turn funded Group 935), and the Soviet Ascension Group. IG Farben helped fund Hilter and the Nazi party into power. And during the WWII became the 4th most profitable company in the world. The largest corporations in the world that are in the business of war, don't have international boundries or loyalties to any government. They control those things, and play them against each other to maximize profits. GKM is playing both the US and Soviets against each other for their own gain. If you research IG Farben's history (including post WW2), it offers a disgusting amount of resemblance to GKM. With as much historical resemblance that these two partys portray, I automatically assume GKM financially backed both Group 935 (via Nazi Party) and the Ascension Group. As for GKM, it could resemble that company, I could see it. 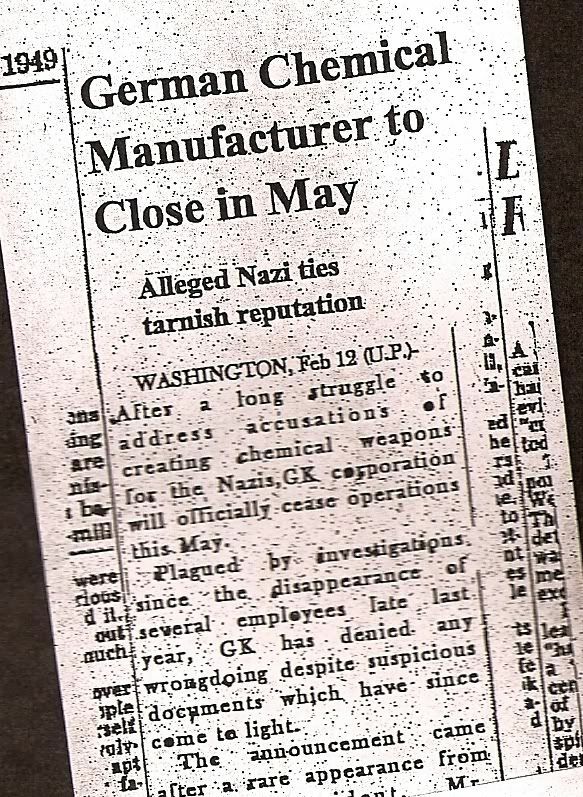 In the GKNOVA6 drop, there was an article about how a company named GK was shut down in 1949 for a hand in chemical warfare with the Nazi's, so my original thought was that before the third riech funded them in 1940, GK funded Steiner and them. But then I realized that Steiner and Blome didn't start working in Der Riese on NOVA6 until 1943, so I got all sorts of messed up. I like you idea about IG Farben, but can we be sure that GKM funded the US or what did you mean? Because they are in the business of War. Listen carefully. I significant portion of research I have been doing can make or break this arguement. I need to know DEFINITIVELY how you got this information on Gorki Pavel. Believe me when I tell you that this is important. Thank you very much. Would you mind if I included your findings in a certain project I am working on? I'll be more than happy to mention you in the credits for bringing this to my attention.